We’ve all been there. All experienced the obvious need to cleanse your vaping experience by putting the gleam back into a grungy coil. Do you want to enjoy vaping to its fullest? Then familiarize yourself with the temperature control. When acting correctly, it detects a lack of coil liquid and disengages before the cotton begins to burn. Get to know the controls. It helps. 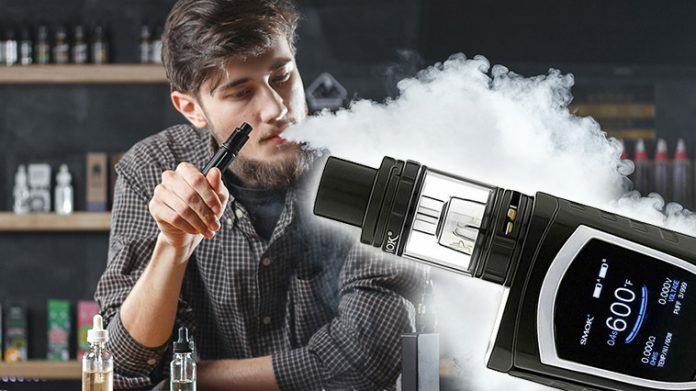 Among its obvious benefits, temperature controls also act as a reminder for those who utilize a rebuildable dripping atomizer (RDA) to refill the atomizer’s juice level. The first step in becoming accustomed to temperature controls is choosing a coil that is specifically designed for the device. Stainless Steel and Ni200 coils are among the more popular products. Please note to always check new devices at the time of purchase to guarantee the right atomizer coils are available. Most devices are compatible with both coil styles, but the information should be double-checked. Stainless Steel coils can be fired up by means of variable wattage and temperature control but has proven most effective with temperature control modes. When the initial modes are established, the next step is ensuring the device is functional and the temperature controls are correctly established. Start this process by setting the device at a low wattage and temperature so the coil doesn’t burn. Gradually, as you become more acquainted with the device, turn up the heat at small intervals until you find the setting that enhances the flavors. One proven way to test new temperature control devices is to set up an RDA, wick it and torch dry cotton. At 210 degrees, allow it to burn continuously for 5 seconds. If the device is working properly and the temperature wasn’t set well beyond 210 degrees, the cotton will not burn. Soon, you will hit that sweet spot and the dry hits, burnt cotton and nasty taste will, for the most part, go up in smoke. Previous articleIs Teen Vaping Really an Epidemic? Should the Legal Smoking Age Increase to 21? Product Showdown: Cotton Bacon – Which Version Is Best?